The Mississippi Arts Commission announced that Margaret’s Grocery near Vicksburg is listed as of today as Pepsi Refresh project. The link is here. 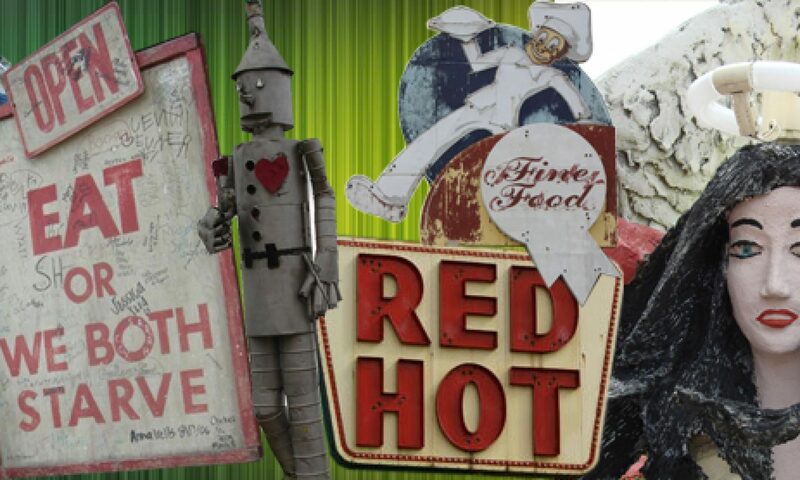 The “Restore Margaret’s Grocery/Rev.Dennis’s Castle” project will restore and refurbish a Folk Art Icon created on HWY 61 many years ago that has amazed travelers from around the world for years. The place currently is in bad shape and in need of a new roof, a security fence,outdoor security lighting, restoration of folk art creations, retouching of painted folk art signs and works of art, and preservation of folk art. Also Perpetual care of property. Interior restoration including carpentry and plumbing and electrical. Would like to able to maintain Folkart for years to come for others to learn from and enjoy and inspire. How will the 50K be Used? Budget Notes: will protect original folk art creations and restore to original design and colors. try to fix inside to original look and folk art creations. Voting ends on September 30.